Today, I had the privilege to observe 4th and 5th graders in the midst of a five-week STEM unit. 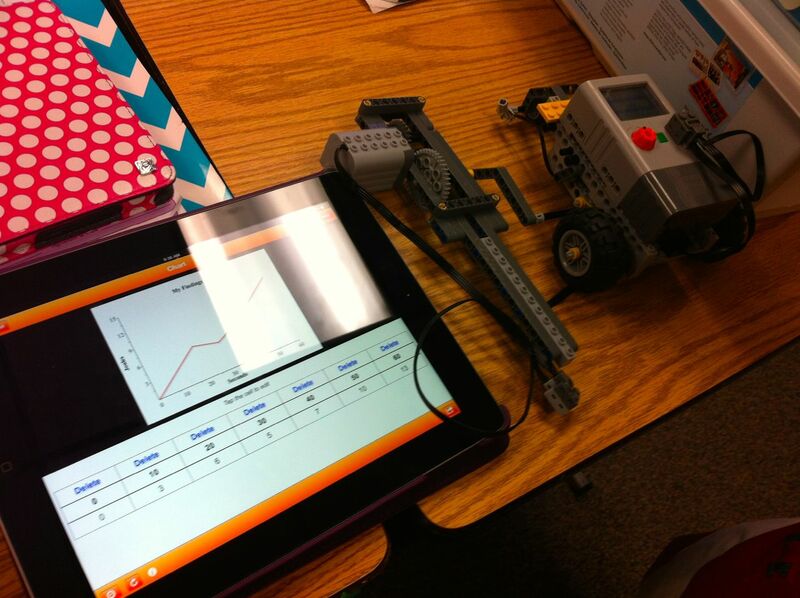 They are using LEGO MINDSTORMS and the Carnegie Mellon curriculum. The students were incredibly engaged, everyone student I asked said this was their favorite unit of the year. This program is currently offered to all 4th and 5th graders at two of our elementary schools with plans to grow it over the coming years; hopefully, to all schools. I was there to observe, offer some suggestions, and discuss how we can connect this amazing program in elementary to middle school and high school classes and activities. I suggested Seymour Paperts book Mindstorms as a resource for everyone involved. I was thrilled when one of the leaders of this program had already read it! We plan to return in a few weeks with Huskie Robotics and have the seniors see the creations of the 4th and 5th graders and then demonstrate our FIRST Robotics Competition Robot, Annie, to all 3rd through 5th graders. We hope that this helps students project themselves into these future STEM opportunities. This pair was working on an energy transfer experiment. They were using the crank to generate energy and store it. They then used the stored energy to power their robot. They captured their predictions, data, graphs, and reflection in their lab notebook on the iPad which, in itself, was impressive. The unit is focused on various challenges that each pair works to complete. The challenges are engaging but not competitive. This should make the unit more interesting to girls. We discussed how the unit could be improved by creating a narrative that connects the various activities and challenges to authentic human impact examples of robotics and technology. 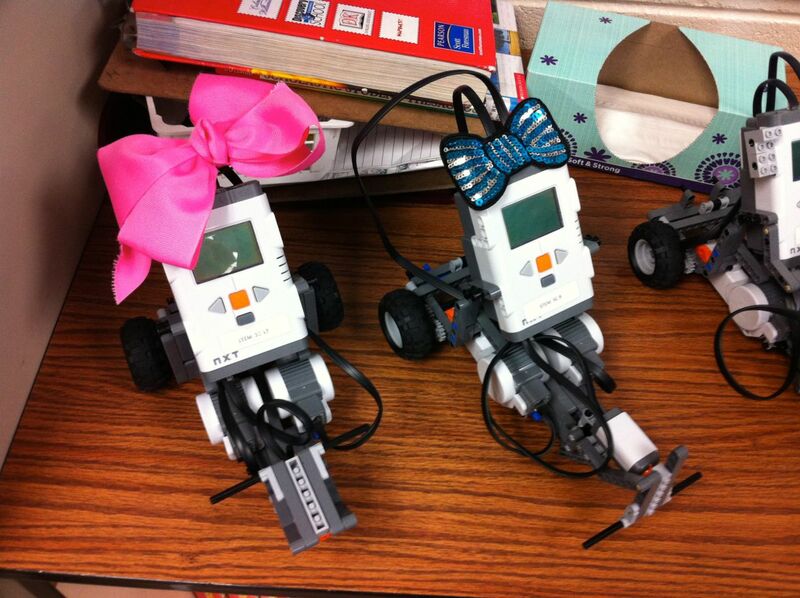 You can see a how a few of the girls personalized their robots.